From the first time I ever learned to apply kinesiology tape, my biggest attraction to it was in its ability to reduce swelling. I have had wonderful success with other applications, but when used for swelling, I always knew I could count on it being effective (provided the assessment was thorough). 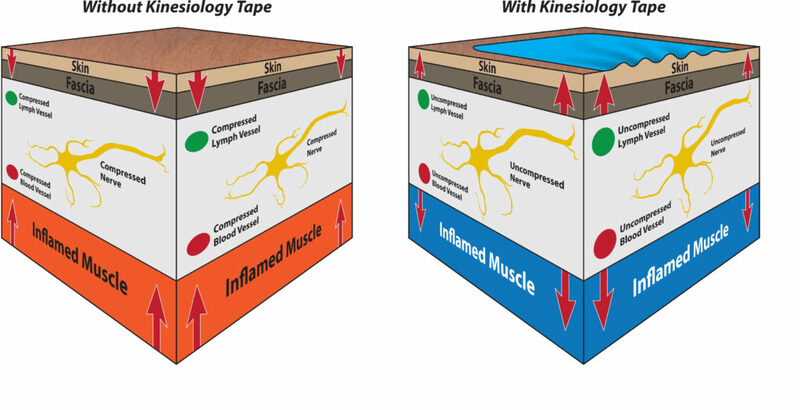 Now I have always stated that I believe that kinesiology tape is MOST effective when used in conjunction with other types of manual medicine. I personally view its most practical use as an adjunct to our treatment outcomes. However, I have also applied the tape as a singular methodology and had decent outcomes as well. Primarily with swelling applications. Back to the swelling applications. Studies are showing more and more how effective kinesiology taping applications are for certain conditions. 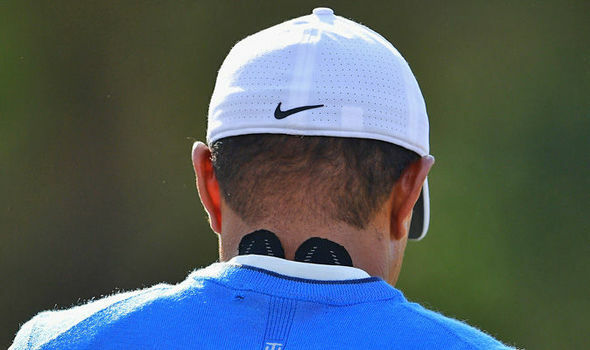 Some studies have their holes, but a key take away from the quality ones is that tape is often being applied alone, with no additional tissue input. Often, kinesiology tape is found to be as effective as ultrasound, electrical stimulation and even surgical grade equipment. As a massage therapist in Massachusetts, it is outside our individual scope of practice to use these devices, so adding the benefits of kinesiology tape to our treatment plan is ideal. However, also knowing that applications can be successful without our manual input, is a great way to build patient confidence and compliance by showing them how to continue the care on their own, when appropriate. Kinesiology tape is slowly and quietly creeping into our treatment rooms as well as homes. The more we understand and share the use of this simple yet effective treatment tool, the more we are going to help others. Like I preach in our live workshops, taping is easy, like riding a bike is easy. However, you do need just a little coaching and guidance to get you on your way successfully. When we fail to apply the tape correctly or worse, instruct others incorrectly, it is the tape that is typically blamed, not the applicator. 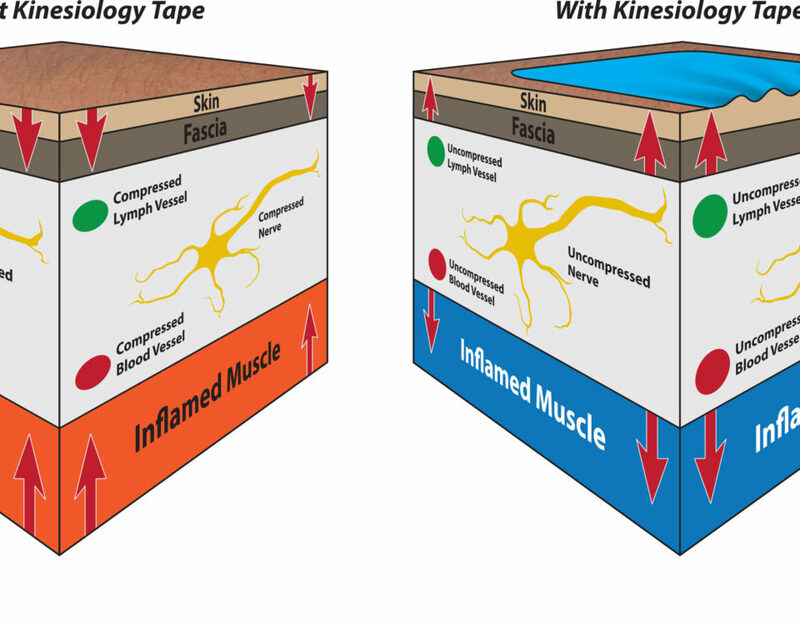 Kinesiology Tape can Reduce Pain! © [wpsos_year] Learn2Tape. All Rights Reserved.